Marnhull Café Sci is affiliated with the nationwide organisation. These groups provide an informal opportunity for people to present their latest work in a pub or café followed by a question and answer session when the visiting expert can provide more details on their work or experiences. Café Scientifique web site is cafescientifique.org and provides help ad guidance to people to set up and run a Café Sci in their area. 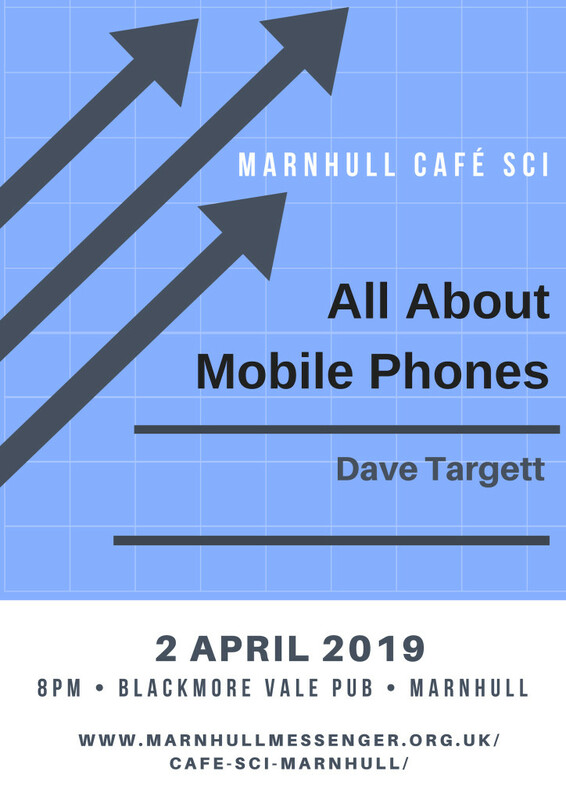 Marnhull’s Café Sci is held on the first Tuesday of the month starting at 20.00 at the Blackmore Vale, Burton Street DT10 1JJ. Future programme will include: Advances in Dentistry, Remote medical diagnosis, Light (National Physical Laboratory) and preventing cyber crime. For more information contact Ros Eveleigh on 01258 821049 or rseveleigh@gmail.com. Alternatively, just register for notifications of upcoming meetings using the post box below.